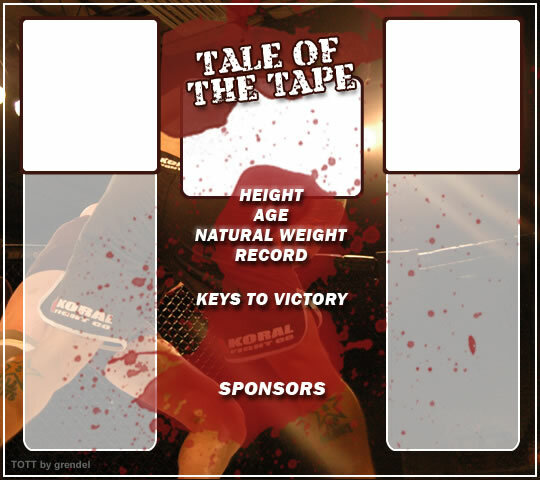 Coming up we have a light heavyweight MMA rules bout between Clifton Von Lee and Evil Nixon. Von Lee comes into the arena with Day of Anger blaring out of the sound system. Well, the cameraman is lingering on a pretty young lady for a bit too long there. Keep your eyes on the prize buddy or you'll miss the fighter intros! With a record of 5 wins, 4 losses and 0 draws, fighting out of London, Clifton Von Lee! With a record of 8 wins, 2 losses and 1 draws, fighting out of New York, Evil Nixon! The judges for this bout are Phil Schofield, Daniel Bishop and Sam Margolis. Nixon lands with an uppercut that bounces Von Lee off the cage and back into range. Von Lee swings wildly with a right hand that was never going to find it's target. Von Lee misses with an uppercut. Von Lee gets tackled into the cage by Nixon. Nixon maintains the clinch. Nixon tries to throw a body punch but Von Lee avoids it by throwing Nixon back against the cage. Von Lee has a body lock and is looking for a takedown. Nixon is bouncing around trying to prevent the takedown and somehow he has indeed managed to stay on his feet. Von Lee missing with knees to the body. Good anti-grappling being displayed by Von Lee as Nixon tries to tie him up. Von Lee misses with some punches. Nixon manages to get underhooks and slows down the pace for a moment. Von Lee misses the knee to the body. Nice hip positioning from Nixon. Von Lee throws an elbow but it misses. Nixon lands a body punch - he's looking to wear down Von Lee. Von Lee is breathing heavily. A head punch blocked on the inside by Von Lee. Nixon gets double underhooks to prevent a takedown attempt from Von Lee. Von Lee blocks a couple of punches on the inside. Von Lee swings wildly with an uppercut but Nixon uses good head movement to avoid it. Von Lee is looking to score with knees to the body. Maybe he'll change it up and go body then head. Nixon is defending well for now. Nixon has been looking to improve his clinch game in recent weeks. Von Lee seems to have the measure of him in the clinch so far, so let's see if Nixon can turn it around. An uppercut on the inside fails to land for Von Lee. Nixon throws a blind hook that connects with the side of Von Lees head. Von Lee has hold of a leg and is looking for a trip takedown. Nixon avoids it nicely though and we remain in the clinch. Von Lee has been talking about how he's improved his wrestling in the run up to the fight so let's see if that's enough to sway the balance. That's three failed takedown attempts in the round for Clifton Von Lee. That's going to take a lot out of him. Von Lee gets the body lock takedown. After a quick scramble, Nixon regains guard. Nixon is working an open guard here, looking to improve his position. No doubt that will leave him open to counters but at least he's being more offensive. Nixon is controlling Von Lee's posture. Nixon is continuing to stall. Nixon keeping moving, preventing Von Lee from controlling successfully. Nixon is working from a closed guard but he's struggling to control his opponent. Von Lee wants to pass the guard but Nixon is keeping the position. The referee is pacing around the two fighters - he looks like he's thinking about a standup. Nixon controlling Von Lee's posture. Nixon connects with a solid leg kick. Nixon takes a jab on the nose. He smiles like he loves it and keeps coming. Nixon swings for the body but Von Lee moves out of range. A nice leg kick lands there from Von Lee. A slapping leg kick lands for Von Lee. Nixon tries to land a front kick but Von Lee steps back. That was a bit too telegraphed. Nixon lunges in with an uppercut that skims his opponent's chin. Von Lee walks straight into a jab right on the nose. That one stung - he's blinking and trying to clear his head. Von Lee blocks the body kick. Von Lee half commits to a counter takedown before pushing away, out of range. Nixon fakes with an overhand right and moves in to clinch with Von Lee, pushing him back against the cage. Nixon has a couple of punches blocked by Von Lee. Von Lee lands a shot to the body. Von Lee tries to land a shot to the body but it's blocked. Von Lee swings wildly with a hook that is half blocked by Nixon. Nixon ducks under a wild hook from Von Lee. Nixon throws a leg kick but Von Lee sees it coming and moves out of range. Von Lee paws at his opponent with the jab and then lunges in with a straight, right on the button. Nixon avoids the body shot from Von Lee. Nixon connects with a good right hand that stumbles Von Lee. Von Lee circles away out of range and recomposes himself. Nixon catches Von Lee with a nice straight right. He seems pissed - ooooh, it's on now! On like donkey kong! Von Lee lands a right hook to the body. Nixon lands a right hook to the body. Von Lee uses good footwork to get in and out, landing a nice hook. Nixon prevents Von Lee from breaking the clinch. Von Lee misses with an elbow strike. Nixon avoiding damage as Von Lee throws knees to the body. Von Lee misses with a punch on the inside. Von Lee tries to throw a body punch but Nixon avoids it by throwing Von Lee back against the cage. Nixon avoids the elbow strike from Von Lee, against the cage. Von Lee throws an elbow that misses. Von Lee slowing the pace effectively. Nixon scores with a shot to the side of Von Lee's head. Von Lee has a couple of punches blocked by Nixon. Von Lee blocks a body shot from Nixon. Von Lee breaks the clinch. A looping hook to the body misses from Nixon. Von Lee does a little dance to reset his feet. Von Lee takes an uppercut right on the jaw but it doesn't phase him. Von Lee dips down and scores with a jab to the body. Von Lee connects with a looping right hand. Nixon scores with a jab to the jaw. Nixon scores with a crisp jab that stopped Von Lee in his tracks. Nixon scores with a spinning back kick! Von Lee throws a wild body kick that Nixon sees coming a mile off. Von Lee scores with a slapping inside leg kick. Nixon scores with a hook to the body. 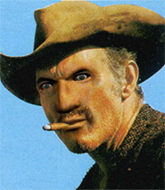 Von Lee takes a step back and tries to catch his breath. Nixon uses some good footwork to avoid the body shot by Von Lee. Nixon looks to score with a combo but nothing lands. Nixon tries to clinch up but Von Lee circles away and keeps his distance. Von Lee fails to land with a short punch on the inside. Nixon can't find room to land a body shot as Von Lee controls the action. Von Lee blocking some punches. Von Lee breaks from the clinch. Von Lee keeping a good distance there, avoiding the body shot. Von Lee misses with a hook. Von Lee throws a shot from downtown. Nixon moves away and avoids it. Nixon digs a good hook to Von Lee's body. Nixon slips under a jab from Von Lee. Von Lee drops his hands momentarily and Nixon takes advantage with a crisp shot to the head. Von Lee throws a body kick that misses. Nixon is clearly trying to counter these attacks from Von Lee with a body shot. Von Lee lands the left hand. Nixon is looking to slow Von Lee down with leg kicks. A slow jab from Von Lee misses its intended target. Nixon wants to counter with a clinch but Von Lee pushes him away. The fighters get back to their feet, the hooter sounds and we're back to the action! And we move into the final round! Nixon tries to clinch up against the cage, rushing in to close the distance. Von Lee manages to break the clinch and circles back to the middle of the mat. Nixon fakes a jab and then connects with a hook. Von Lee lands an uppercut. Von Lee throws a head punch that misses. Von Lee wants to push off and get back to the center of the mat but Nixon has him pressed against the cage. Nixon gets through Von Lee's defenses to land a nice punch to the side of the head. Von Lee tries a shoulder strike but it doesn't do any damage. Von Lee is trying to drag Nixon to the mat but Nixon just about manages to keep his footing. He used the cage to his advantage there. Von Lee is trying to stall. Von Lee swings away with an uppercut that misses. A short uppercut from Von Lee. Von Lee lands an elbow inside that Nixon shrugs off. Nixon works on Von Lee's body with a couple of short punches. Clifton Von Lee has stepped it up - he knows he needs a finish here! Von Lee can't find room to land a body shot as Nixon controls the action. Nixon on the defensive, avoiding the knees to the body. Nixon leaning his opponent against the cage. Von Lee looks like he'd prefer to be striking at range right now. Nixon lands a right uppercut that snaps the head of Von Lee backwards. Nixon lands with a left to the head. Von Lee tries to land a knee to the head but misses. Oh Von Lee is still all over the place! His legs are completely gone! Will he be able to recover?!! Nixon presses Von Lee against the cage and delivers a mid-strength body shot. Von Lee seems to have got his legs back now. Nixon lands a right hand that snaps the head of Von Lee backwards. A head punch on the inside from Von Lee fails to land. Nixon holding his opponent close, against the cage. Nixon swings wildly with an uppercut but Von Lee uses good head movement to avoid it. Nixon is leaning against Von Lee and scores with a nice uppercut to the body. Nixon lands a left hand that snaps the head of Von Lee backwards. Nixon dictating the pace here, as the fighters clinch against the cage. Nixon creates some distance for himself and unleashes a massive uppercut that sends Von Lee's eyes rolling into the back of his head! Von Lee drops to his knees and Nixon pours it on with more strikes until the referee steps in to end the bout! Ladies and gentlemen, after 4:36 of round 3, we have a winner by way of TKO (Strikes). 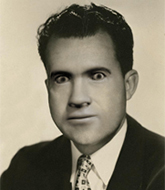 Evil Nixon!